Mr. TH had a meeting in Brussels last week, and I decided to tag along. 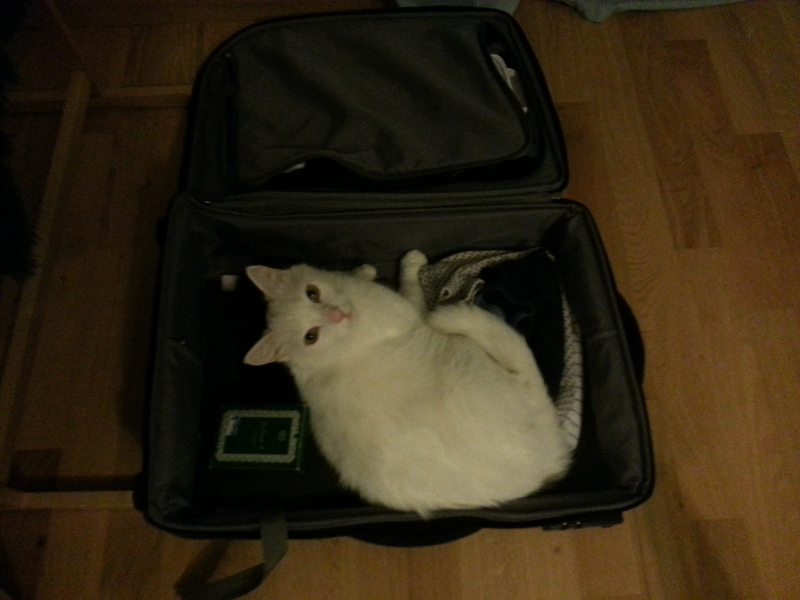 My initial plan was to hide in his luggage and save the cost of an airplane ticket. I was, however, too late. Someone else beat me to it. We arrived in Brussels on Tuesday evening, and I was taken aback by the size of the airport. It’s pretty huge. With lots of walkalators. I didn’t really count, but I’m pretty sure we had to get on around ten long walkalators just to get to the baggage claim. By the time we got there, all the bags were already out, and had probably made a few rounds on the carousel. Having said that, everything was pretty quick; we landed at 7.35pm and we were at the taxi stand by 8.05pm. By 8.30pm, we were at the hotel. After checking in, we had a quick dinner at a nearby Italian restaurant (we decided to savour moules another night) and walked around a bit before calling it a day. During the next two days, I wandered around on my own while Mr. TH attended his meeting. I spent Wednesday walking around Grand Place and the Iliôt Sacré area. It so happened that a tour of the Hôtel de Ville (the Townhall) in English is conducted on Wednesdays, so I went ahead and bought a ticket. Save for a few rooms, the interior of the Hôtel de Ville is pretty modest – especially when compared to the gorgeous exterior facade. Just opposite the Hôtel de Ville is the Brussels City Museum, where architectural relics and old maps of Brussels are kept. There’s also a small section dedicated to the costumes of the Mannekin Pis (he has more than 700 costumes!). The peeing statue is sometimes clad in a colourful costume; usually to commemorate the national day of some country or other. The Mannekin Pis itself is just a short walk from Grand Place; and on that day it was dressed up in the national costume of the Dominican Republic. Belgians are not just famous for their food, but also for their lace. Just around the corner from Grand Place, there’s a musuem dedicated to the history and art of lacework (Musée du Costume et de la Dentelle). I found it quite easily enough, and walked in. The counter was unmanned, so I waited for a few minutes, expecting someone to show up. True enough, someone did show up. It turned out the museum was actually closed. I stepped out and flicked through my guidebook. Sure enough, it was stated quite clearly in the book that the museum is closed on Wednesdays. Someone didn’t read it properly, it seems. Heh. I also went to the Galeries St.Hubert, a row of shops connected by a gorgeous covered walkway of sorts. I was getting peckish by then, so I decided to try a traditional waffle at a gorgeous little eatery called Mokafe. I then made a pitstop in Mary’s, a chocolatier. After ogling the chocolates on display, I bought a few to try. They were, needless to say, divine. To round off my Belgian confectionary experience for the day, I walked over to one of the alleys near Grand Place to buy biscuits at a place called Dandoy. Again, the biscuits were delish. On Thursday, I decided to venture a bit further and explore the Royal Quarter Museums. I visited the small but beautiful Musées Royaux des Beaux-Arts (Royal Museum of Fine Arts), as well as the adjoining Magritte Museum, which houses the works of René Magritte, the Belgian surrealist artist famous for this painting. I then walked further up to the majestic Palais de Justice. It’s currently undergoing what looks like extensive maintenance work, but all the scaffolding did nothing to hide the size of the building. If anything, it only served to emphasise how enormous it really is. Also in the area are the Église Notre Dame du Sablon and the Place du Petit Sablon, a small but charming little garden. By then it was lunchtime, so I headed back down the hill towards Place du Grand Sablon for a quick bite, and ended up having a salad at Wittamer and then popping into Pierre Marcolini for dessert (which was, by the way, absolutely heavenly). I then wanted to pop into the nearby Musée des Instruments de Musique, which apparently promises an unusual auditory experience. The museum closes at 5pm on weekdays, and having arrived there at 4.20pm, I thought I could still get in. Unfortunately, the ticketing counter closes 45 minutes before the official closing time, so I was 5 minutes too late. Bummer. Despondent, I decided to call it a day and walk back to the hotel. I decided to take another route and walked past the Cathédral des Sts-Michel & Gudule, which looks a bit like the famous Notre Dame in Paris. Just around the corner from the cathedral is the museum of the central bank of Belgium. That night, we decided to have moules for dinner. Mr. TH suggested Le Choux de Bruxelles, which looked pretty good on TripAdvisor. We walked all the way there, working up an appetite. I was looking forward to stuffing myself with a pot full of steaming mussels…. only to be disappointed. We forgot to make a reservation, and they were fully booked. Bummer. There were some other good places we read about nearer Grand Place, but I was too tired by that time, having spent the better part of the day walking around – so we just went into the next restaurant we came across. I did manage to have mussels, but it wasn’t as good as I expected it to be. Mr. TH’s dish was good though; so it wasn’t a total letdown. We left the next day, but not before making a last minute trip to the shops to buy biscuits and chocolates to bring home. I had also decided to start collecting Tintin comics, so we popped into the Tintin boutique to get the ball rolling. And with a small bag of chocolates, biscuits and Tintin comics, we boarded the plane back to Basel. I would have liked to stay another day, to visit the EU Parliament and the Brussels Park, but I had to go home. It was time for me to start swotting. I leave you with some photos from the trip. Thanks for stopping by! This entry was posted in Brussels, Travel and tagged Belgium, Brussels, German, travel. Bookmark the permalink.